LOS ANGELES (FOX 11) — FOX 11 News IN DEPTH with Hal Eisner interviewed Supervisor Mark Ridley-Thomas, LAHSA Ad Hoc Committee Chair Jacqueline Waggoner, and Select Committee on L.A. County Homelessness Chair Assemblymember Miguel Santiago about a groundbreaking new report by LAHSA’s Ad Hoc Committee on Black People Experiencing Homelessness. The report sheds light on why Black people make up 9% of the population of LA County, but more than one-third of its population experiencing homelessness, and puts forth a broad set of targeted recommendations to reverse this injustice. 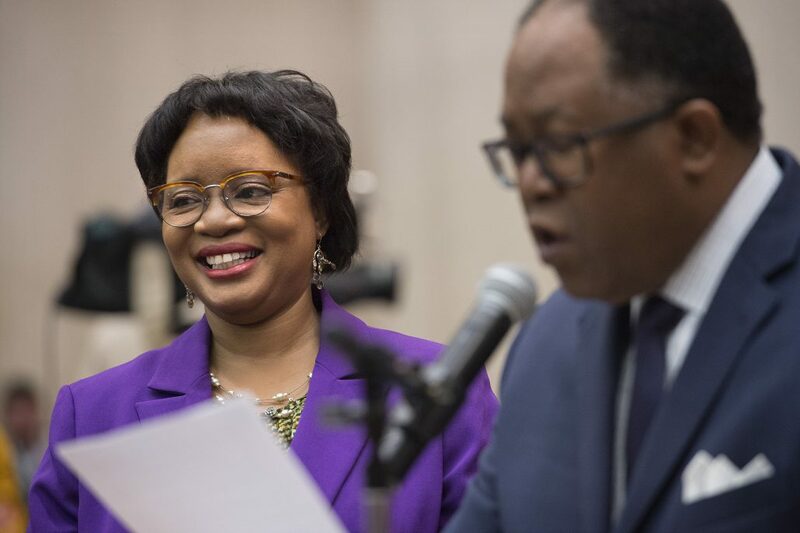 In this segment, LA County Supervisor Mark Ridley-Thomas and Jacqueline Waggoner from LA Homeless Services Authority discuss the study showing a disproportionate amount of black homelessness in the county and concerns. Also, looking at this from a state perspective Assemblyman Miguel Santiago weighing in from Sacramento. We continue with Ridley-Thomas and Waggoner on how to attack the problem which has its roots in “institutional racism” and the housing crisis we have been facing in LA County for some time now. All segments published courtesy of FOX 11 News IN DEPTH with Hal Eisner. Bioscience Los Angeles County, known as BioLA, a newly formed organization focused on advancing a life science innovation hub in Los Angeles County, added to its roster of founding sponsors and directors. 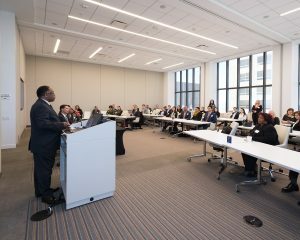 During a community conversation about the County’s burgeoning biopharmaceutical sector, the Pharmaceutical Research and Manufacturers of America (PhRMA) made a down payment to support life science innovation, expand the local skilled workforce and provide economic stimulation within the county. 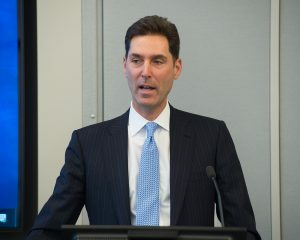 At the event, PhRMA President and CEO Stephen J. Ubl announced the association is making a three-year, $750,000 investment to expand the region’s development of breakthrough treatments and cures through innovation. Ubl will also join the board of directors. BioLA was founded in 2018, with the aim of serving as an entrepreneurial hub for government, research institutions and private investors to accelerate startup activity within the County and amplify economic activity. BioLA will help coordinate academic institutions, research hospitals, investors, startups, mature companies, trade associations and public and quasi-public agencies to advance the pace of innovation. 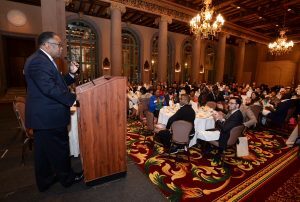 More than 150 small business owners, faith leaders and community leaders gathered for the fourth annual “Meet the Decision Makers” African-American History Month Business Breakfast, at the Millennium Biltmore Hotel, to celebrate and learn from three dynamic officials – L.A. County Supervisor Mark Ridley-Thomas, Metropolitan Water District Chairwoman Gloria Gray, and the Los Angeles Department of Transportation Assistant General Manager, Monique Earl. Mike Fong, Los Angeles Community College District (LACCD) Board President, as well as representatives from the offices of Senator Kamala Harris, Mayor Eric Garcetti, and State Controller Betty Yee were present. KJLH radio personality, Dominique DiPrima served as mistress of ceremony. 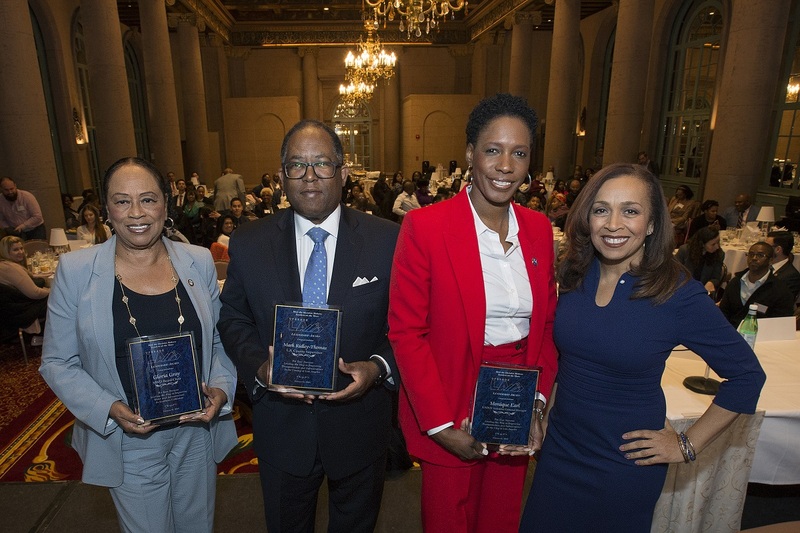 Meet the Decision Makers strives to connect small and minority business owners with real contracting opportunities in the public and private sectors. 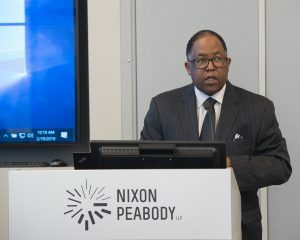 In 2016, Supervisor Ridley-Thomas introduced a motion for the County to have one billion, 25 percent, of its procurement to be made available to small businesses by 2020. Upgrade LA also announced that Skanska USA has spent over $200 Million dollars with minority and disadvantaged business owners over the past five years in the LA region. Supervisor Ridley-Thomas speaks to 150 small business owners. Meet the Decision Makers was established as a public forum in 2014 to connect elected officials and major public sector decision-makers with small business owners, faith leaders and engaged citizens. 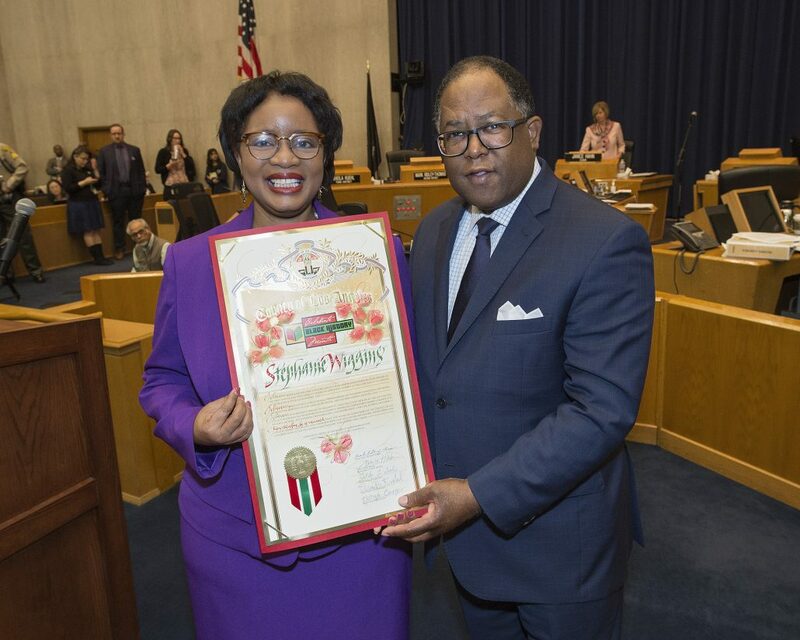 In the second celebration of Black History Month, Supervisor Mark Ridley-Thomas presented a scroll to Stephanie Wiggins, the first female and first African American CEO of Metrolink. In this role, she is now responsible for a commuter railroad that covers over 2.8 million train miles and transports over 400 million passengers per year. “A true trailblazer, Stephanie Wiggins has enjoyed a stellar career in the transportation industry,” said Supervisor Ridley-Thomas. Stephanie Wiggins was named chief executive officer of Metrolink by a unanimous vote of the board of directors in December 2018. Wiggins assumed leadership in January 2019 and leads the 275-employee strong commuter railroad with a budget of $793 million. As CEO, Wiggins directs an agency that operates a commuter rail network on seven routes across a six-county, 538 route-mile system. Wiggins has held high-level positions at three of the five-member agencies that comprise Metrolink and is well-known as a customer -focused leader who finds solutions from a regional perspective. Wiggins’ vision for the agency is to create value and exceed expectations by prioritizing a customer-first orientation with three pillars to provide an outstanding customer experience: safety and security, an integrated system, and modernizing business practices. Prior to leading Metrolink, Wiggins was Deputy CEO of the Los Angeles County Metropolitan Transportation Authority (LA Metro) where she assisted the CEO in providing leadership and formulating and achieving strategic public transportation objectives, including the passage of Measure M, a half-cent sales tax approved by 71 percent of voters in LA County. During her tenure at LA Metro, Stephanie also served as the Executive Director of Vendor/Contract Management, where she implemented procurement streamlining initiatives and greatly expanded Metro’s utilization of small and historically underutilized businesses. Prior to that role, Stephanie was the Executive Officer and Project Director of the Congestion Reduction/ExpressLanes Program where she launched the first high occupancy toll lanes in LA County, the I-10 and I-110 Express Lanes, which improved travel times and travel reliability on two of the County’s most congested freeway corridors. Prior to Metro, she served as Regional Programs Director for the Riverside County Transportation Commission (RCTC) and oversaw transit, commuter rail, rideshare, goods movement and rail capital projects. Wiggins began her career in transportation when she accepted a temporary assignment at the San Bernardino County Transportation Authority and fell in love with the mission of the agency. The six-month temporary assignment turned into more than four years. She then accepted a policy analyst position with the RCTC where she worked for an additional nine and a half years in management and senior management roles. Feeling the need for personal and academic growth, Wiggins earned a Master of Business Administration from the USC Marshall School of Business in 2007. She received her Bachelor of Arts degree in Business Administration from Whittier College in 1992. Wiggins is a self-proclaimed “military brat” whose father made his career in the Air Force. She credits her experience moving from base to base and country to country as a child for teaching her the importance of diversity. Wiggins is the founding president of the Inland Empire Chapter of Women’s Transportation Seminar. She is the recipient of many awards including the Conference of Minority Transportation Officials 2018 Women Who Move the Nation Award. She is a Board Member of the Los Angeles Chapter of Friends of the Children. 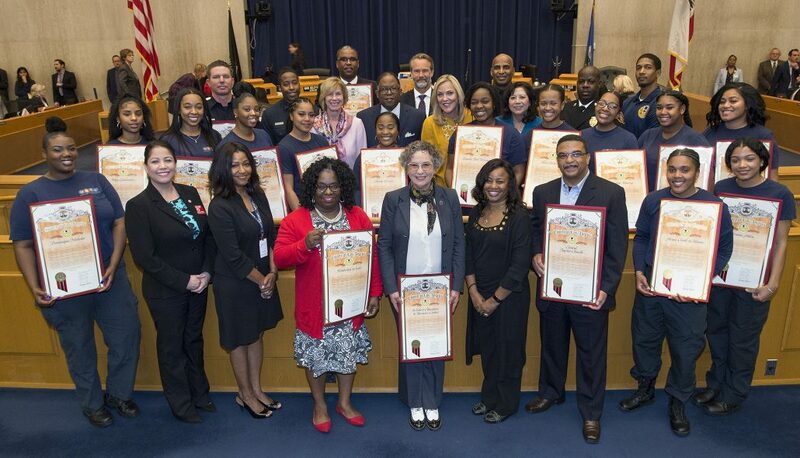 Supervisor Mark Ridley-Thomas honored the first all-female and the final cohort of the intensive five-monthLos Angeles Emergency Medical Technician (EMT) pilot program designed to introduce young adults to sustainable career pathways in the public safety and health sectors. The earn and learn program provides career-technical education, life coaching and leadership development, and job placement assistance, mentoring, and integrated supportive services. Graduates are guaranteed employment after successfully completing the program. Working as an EMT can lead to careers as nurses, physician assistants, firefighters and doctors. LA EMT Program partners include the Workers Education and Resource Center, Central Baptist Church, the Los Angeles County Stentorians, and McCormick Ambulance. 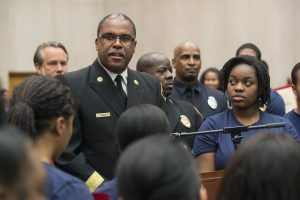 The success of this model was identified in the County’s Preparing Los Angeles for County Employment, or PLACE program, as a pipeline for training potential future firefighters. 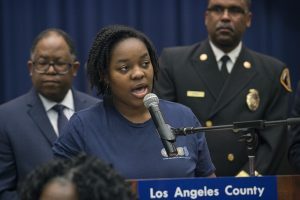 According to the U.S. Bureau of Labor Statistics, women are unrepresented as firefighters and the percentage of women firefighters in the County and City of LA is slightly below the national average at 2 percent and 3 percent, respectively. More than 70 young adults have participated in the program since it launched its first cohort in May 2017.